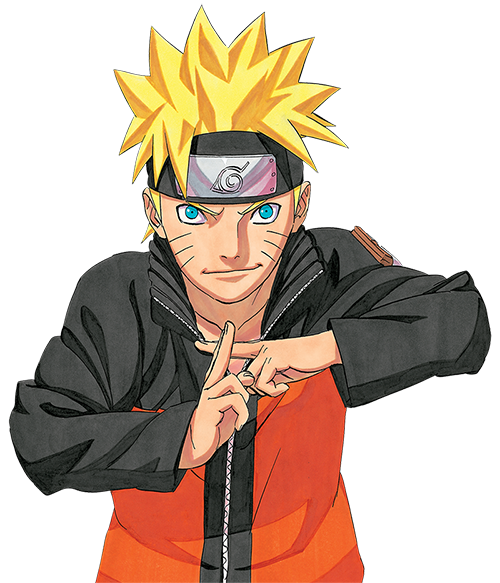 The only man Yuki gave her heart to. I’ve enjoyed debating ships—I root for Sho in Skip Beat! to raise the hackles of the overwhelming majority of Ren loyalists, but it’s all meant in fun, which is exactly what shipping discussions should always be. Vampire Knight is full of complex characters and emotions, and it was never going to have an ending that could be wrapped up in a perfect bow where the heroine rides off into the sunset with her heart’s one and only true love. It’s not that type of shojo manga, which also makes it awesome. Did Yuki love two men at the same time? Yes. There’s no debate in that if you’ve read the series. 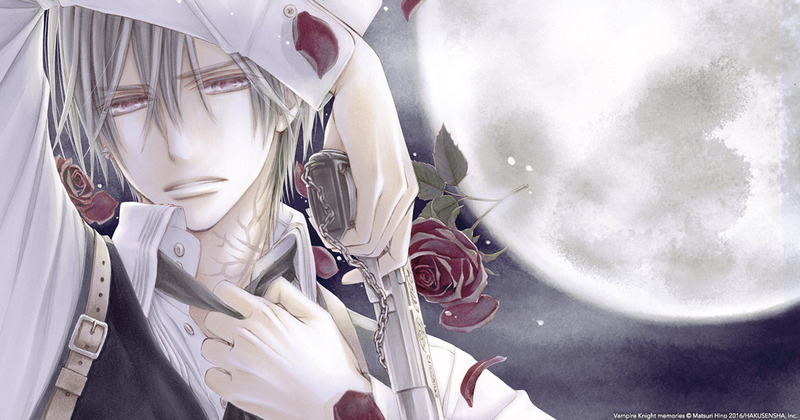 But there is only one man Yuki gave her heart to—literally. 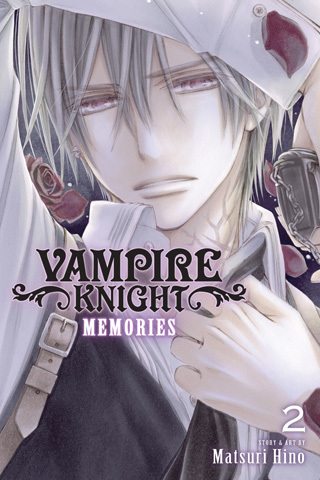 And that’s what really struck me in this volume of Vampire Knight: Memories, Vol. 2. The circumstance is completely different than when Yuki was turned into a human as a child, because Yuki kept her heart. Kaname is living as a human without his heart—it was too weak to support his life after centuries of making hunter weapons. He has Yuki’s heart inside him. 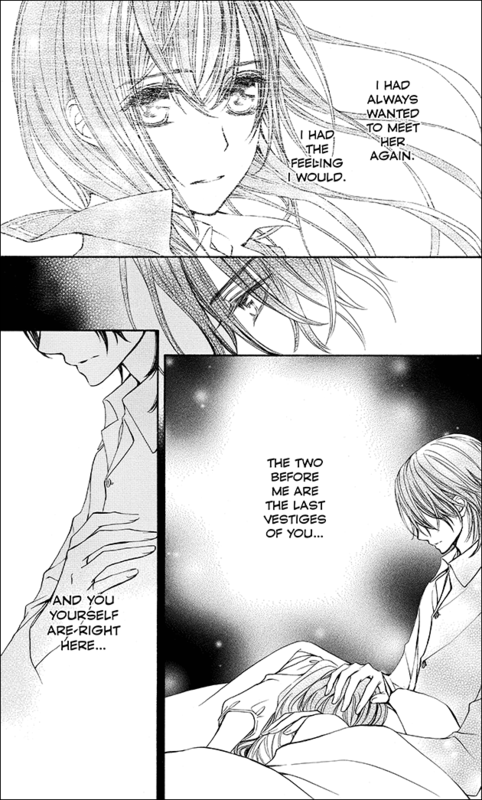 Kaname retains his own personality and sense of self, but often you see him clutching his chest and thinking about Yuki, though he’s supposed to have no memories of her because of the spell that made him human. It’s just so very intriguing. I want to see where this goes.